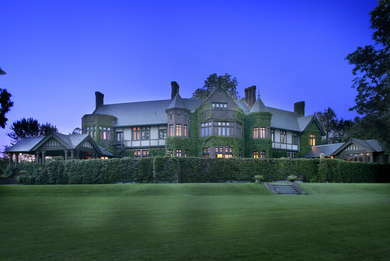 The ivy-covered Tudor mansion is a luxury retreat featuring rooms in the Main House, suites in the Carriage House, and expansive cottages set on 110 acres of lush lawns and woodlands. The historic mansion is a like a storybook with turrets, and gargoyles. The property is one of only 12 remaining Gilded Age mansions in the Berkshires, and the estate strives to provide a royal experience for guests, including fine dining, personal attention, and concierge services. Want to upgrade your ride? 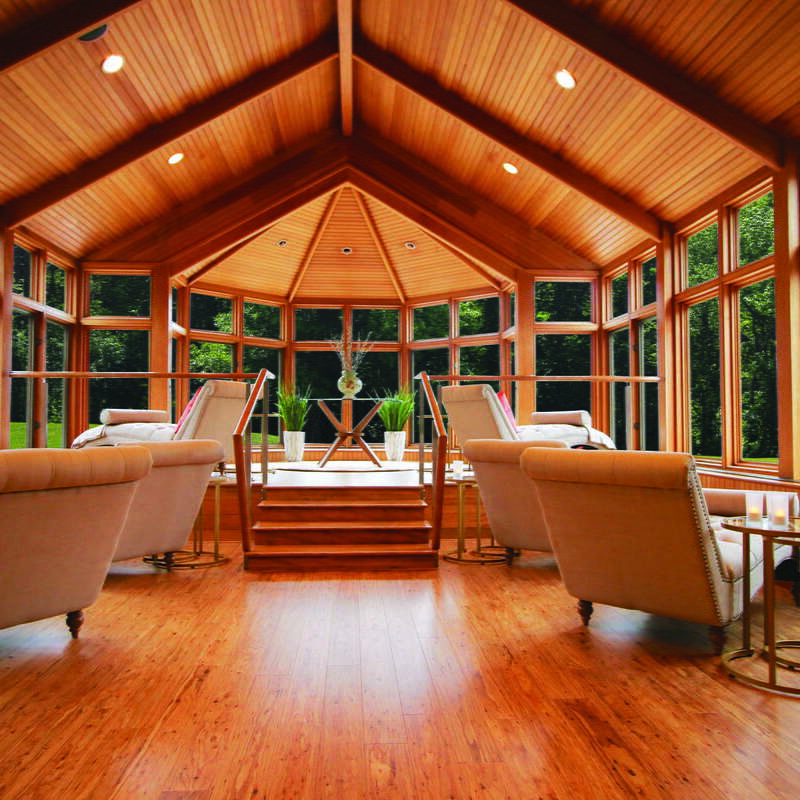 Two BMW house cars are available for complimentary guest use on a first-come, first-serve basis for excursions around the Berkshires. The Main House features luxurious suites with hand-carved four-poster beds, overstuffed chaise longues, and Victorian bathrooms. 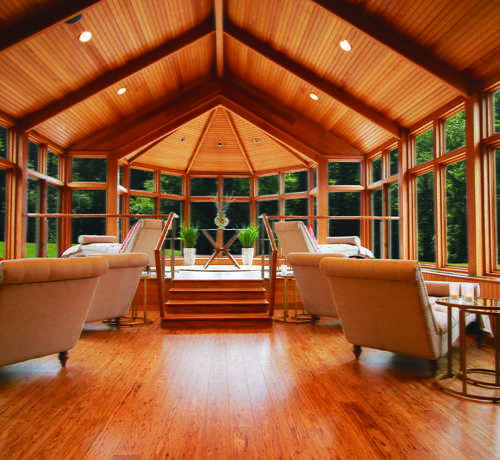 The Carriage House, slightly more moderately priced, provides a diverse selection of rooms and amenities close to the spa and pool. The Cottages are self-contained residences for those seeking more solitude or hosting family gatherings. YOU SHOULD KNOW Children must be 16 years of age and older to stay at Blantyre. Rooms in the Main House feature antique soaking tubs and updated showers in expertly restored bathrooms, while the newer cottages strike a more modern chord with Jacuzzis and marble. Evoking period-style British elegance, the Main House's hall and sitting area are covered in wood paneling, tapestries, and candelabras. A roaring fireplace greets guests in cooler weather. During the holidays, the house is decked out in decorations and regal trees. 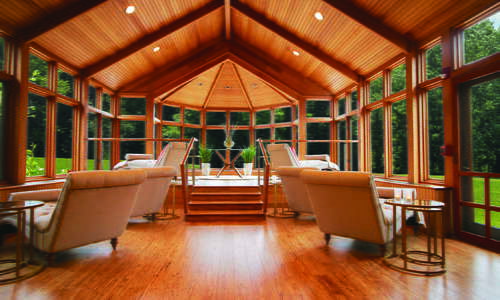 The newly renovated spa features five treatment rooms, sauna with eucalyptus steam room, fitness center, and a spa cuisine menu. Services include massage, facial and body treatments. The Blantyre Bistro serves classic dishes with locally sourced ingredients in an elegant room of velvet upholstery and hand carved original woodwork. 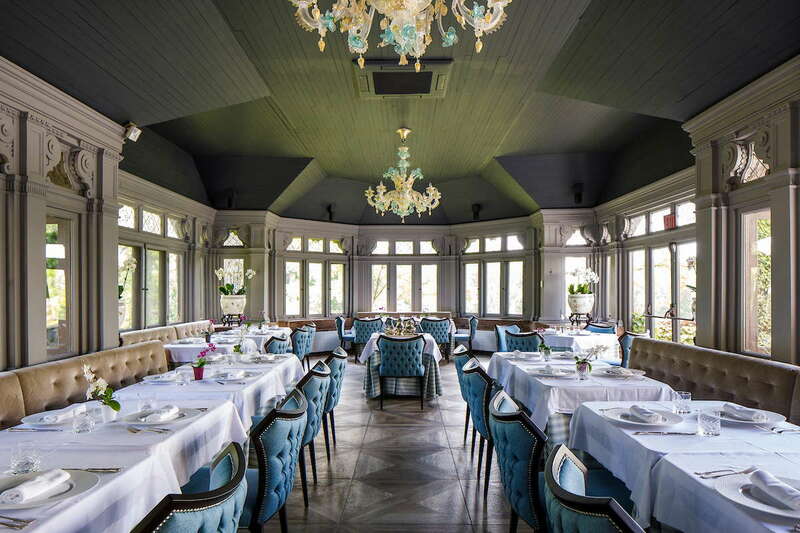 The Conservatory at Blantyre will also debuted in summer of 2018 with a five-course tasting menu. H20 is Blantyre's seasonal poolside café featuring casual cuisine and creative cocktails. Blantyre's wine collection features more than 10,000 bottles and has received the Wine Spectator Grand Award. 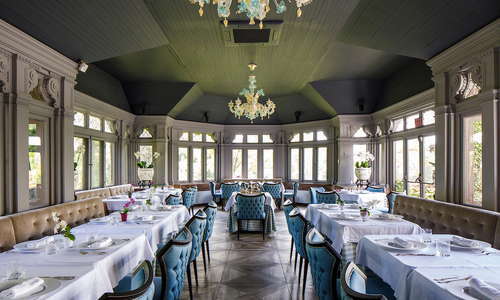 in June 2018 Blantyre unveiled a full-service Dom Pérignon champagne salon. The Champagne Salon by Dom Pérignon serves exclusive specialty selections including Vintage Trinity, Dom Pérignon 2006, P2 Vintage 2000 and Rosé 2005. A car is needed to access the small towns and mountain areas across the Berkshires. An upscale atmosphere reminiscent of more urban environments, Prime Italian Steakhouse (8-minute drive) excels at pasta favorites and quality steaks. For French bistro favorites, head to Zinc (7-minute drive) for lunch or dinner in a refined, yet relaxed atmosphere. In summer months, reservations are highly recommended for Nudel (8-minute drive) where there's a seasonal menu of modern American, organic and vegetarian fare from small plates to artfully crafted entrees. The resort is the best bet in town for upscale cocktails and rare wine. For more casual experiences the Old Heritage Tavern (8-minute drive) serves up pints of beer alongside favorite bar meals like burgers and chowder. Firefly Gastropub (8-minute drive) is a local favorite for craft brews, imports, and a long list on tap. There's also a large wine menu and tapas-style snacks. 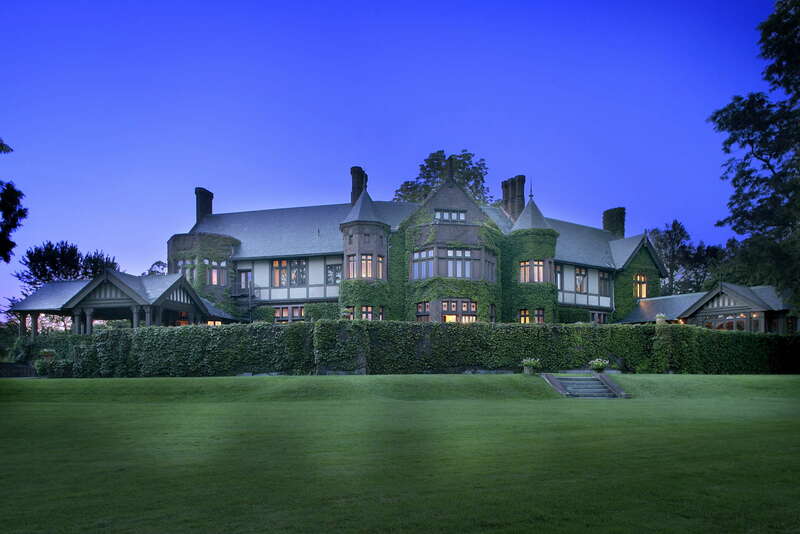 This is where to indulge in opulent The Great Gatsby style experiences in the Berkshires. Reserve court time for a tennis match, soak in claw foot bathtubs or enjoy a flute of Champagne on the lawn like it's the Roaring 20s.